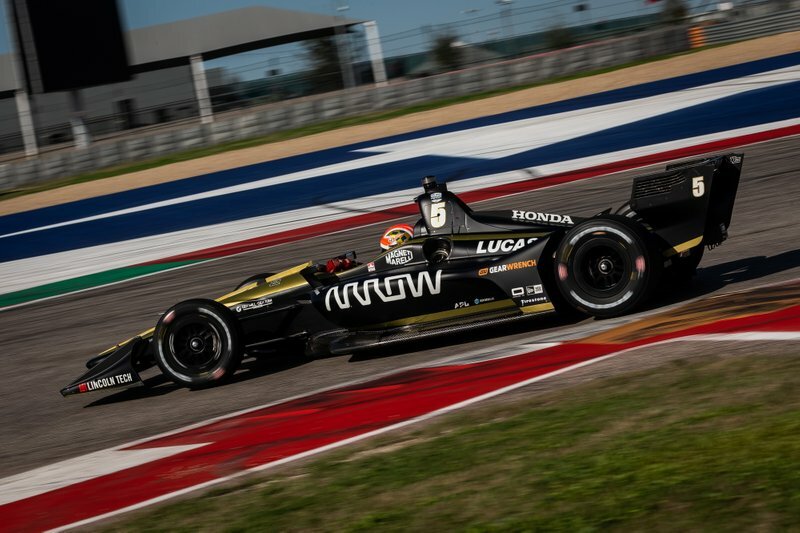 Promoted: Although the result of the NTT IndyCar Series’ season-opening round wasn’t what the team craved, the potential shown and the ability to deal with imperfect circumstances provided hope for James Hinchcliffe, Marcus Ericsson and the Arrow Schmidt Peterson Motorsports team. 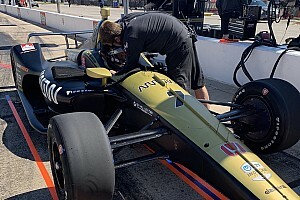 First of all, Arrow SPM drivers James Hinchcliffe and Marcus Ericsson had their thunder stolen in the best possible way by colleague Robert Wickens, who returned to a motorsport paddock for the first time since his accident at Pocono Raceway last August. The 29-year-old Canadian wowed everyone with his determined climb up the steps onto a plane and then his interview on Good Morning America. At the track, Robert was warmly received by all team personnel, rivals and fans, and then held the media transfixed with a press conference that displayed his usual dignity, honesty and grit. When the track action began on Friday, Ericsson revealed the uncanny ability of racecar drivers at this level to swiftly learn tracks that are new to them, ending the first session in third place. Then came the hardest lesson for any NTT IndyCar Series rookie – experiencing the red-sidewalled alternate soft-compound Firestone tires for the very first time. These ‘reds’ are traditionally less durable than the black-sidewalled primary tires, but they offer more peak grip and are therefore the tires of choice for qualifying, when one or two flying laps in each segment set the starting order for Sunday’s race. 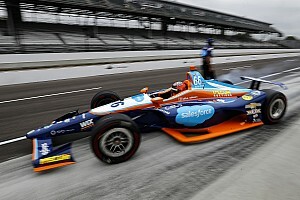 However, they aren’t available to teams in testing, and so second practice on Friday afternoon is the only chance that drivers get to try them before qualifying. One of the interesting challenges of the reds is that they won’t always simply offer more grip at each corner of the car: they can also alter the car’s handling characteristics. An experienced team such as Arrow SPM will anticipate what those alterations might be and will thus make other adjustments to wings, suspension, dampers to compensate. But on Friday, Ericsson made a request to his Arrow SPM crew. “I asked them to not touch a thing!” he told Motorsport.com that evening. 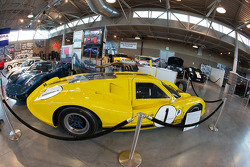 “Because this was my first time using reds, I wanted to see just how much they change the car. “I was pushing hard, trying to understand how much more grip is there and how the feel is different. 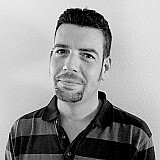 That way I could give feedback to the team on what I wanted to do to get the handling best for me. 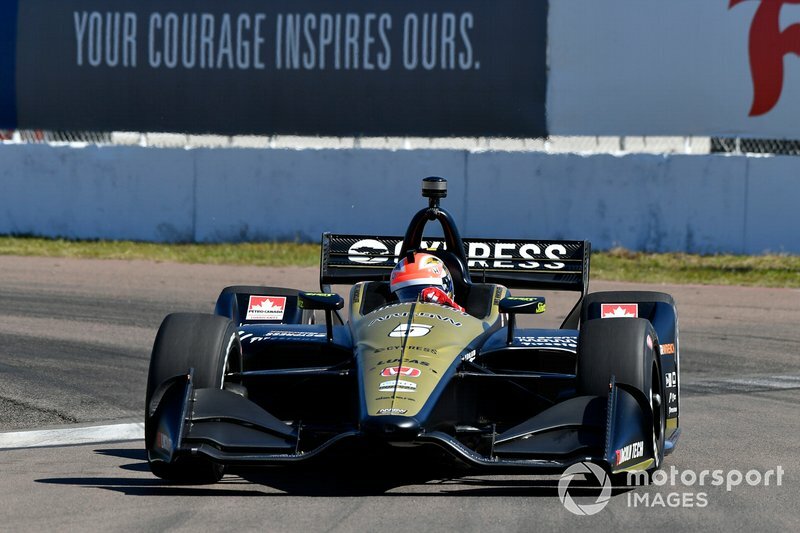 In Saturday’s qualifying session, Hinchcliffe was held up by slower cars on what could have been his fastest run in the second segment, and Ericsson brushed the wall at Turn 9 in segment one, and so they would line up ninth and 18th respectively. Come the race, the Arrow SPM team wisely elected to go off-strategy with Ericsson, pitting him as early as Lap 6, in order that its two cars were on separate strategies. This is a traditional way of covering more eventualities outside a team’s control, such as when full-course cautions might fall, causing the field to bunch up and altering pitstop schedules. For a driver running in the second half of the field, it’s often a risk worth taking. Sadly, that would prove a moot point for the IndyCar debutant. Once it became clear that there would not be many caution periods in this occasion, Ericsson, who had climbed his way to ninth, was put back onto the same strategy as Hinchcliffe but approaching half-distance in this 110-lap event, the Honda engine in the #7 Arrow SPM machine started overheating due to debris piercing a radiator. Such occurrences are rare, and it was especially unfortunate for a rookie to be robbed of miles and experience. Remarkably, Hinchcliffe’s race would also be affected by debris, albeit in a quite different manner, and it required his eight years of experience at this level to overcome. In the first couple of stints, running in eighth and then seventh, the 32-year-old Canadian encountered the same issue as everyone else – the tires from the 24 competitors had thrown out rubber ‘marbles’ off-line, making it very difficult to pass at the end of the front straight, which is the prime overtaking spot at this venue. 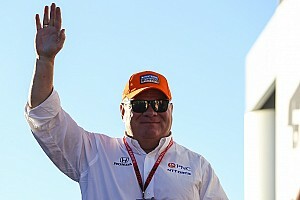 “In the past, it was tough to pass but you could still make something happen,” James told Motorsport.com. “But this year it seemed like it was far tougher. If a guy got a run on you coming onto the straight, you didn’t even need to defend because you knew that he’d either have to brake so early at Turn 1 – because of the lack of grip offline – that he couldn’t get past you. Or if he braked at the same time as you and alongside, you could stay on the brakes a little longer and let him slide past and you’d get the corner back! “When you’re at the point where a driver doesn’t need to defend, that’s obviously not ideal for the quality of racing. It means that drivers can’t capitalize on runs that in previous years would have resulted in passing maneuvers. In the final stint, however, came Hinchcliffe’s biggest challenge. A trackside advertising banner had been pulled off by the 120mph wake of cars going through Turn 3, and it had drifted onto the track surface. IndyCar elected not to throw a yellow since it was initially off the racing line, but on a day when misfortune had already struck one Arrow SPM-Honda, now fate dealt a second blow. Hinchcliffe explained: “I had been hitting a really strong fuel-saving number and so I was confident I could turn up the fuel mixture and race Alex [Rossi] for fifth in the final stint, but then that banner wrapped itself around our front wing which cost us a tremendous amount of downforce and the handling balance went out the window. 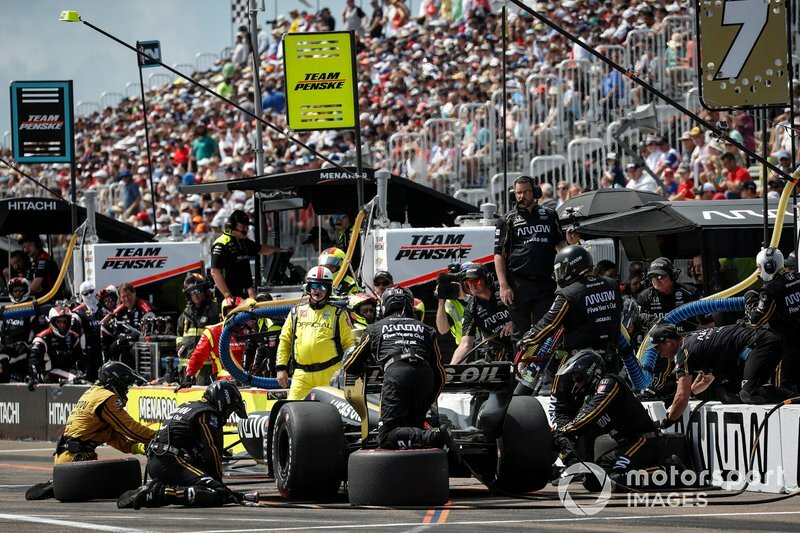 Despite these performance hindrances, Hinchcliffe held off the Team Penske car of 2016 IndyCar champion Simon Pagenaud all the way to the checkered flag, crossing the finish line less than three-tenths of a second ahead. A day later, Hinchcliffe was left reasonably satisfied – a racer is never fully satisfied unless he’s won – with a good job done in a far-from-perfect situation in the first round of the season. 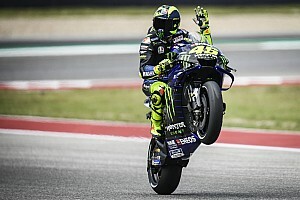 “When you’ve got a field this competitive, you really have to maximize your qualifying lap and when everyone’s so close on lap time, you only need one little thing going wrong or to hit traffic – which was our issue in a couple of sessions – to end up with a lap time that doesn’t fully represent your pace. With 24 cars on a 1.8-mile track, it’s tough to get a clear lap. “But even so, I think we learned a lot and we were able to make progress with the car at the end of each session. Certainly I felt that we had the pace in the car. “So I think what we can take away from the weekend as a whole is that we really maximized in the circumstances in which we found ourselves – qualifying lower down than we should have and then the problem with debris and lapped cars during the race. I felt the #5 Arrow SPM car had the fundamental speed, so when my guys called a great strategy and the pitcrew delivered strong pitstops, we were able to capitalize and produce the lap times that could jump us ahead of a couple of cars and get us into sixth. 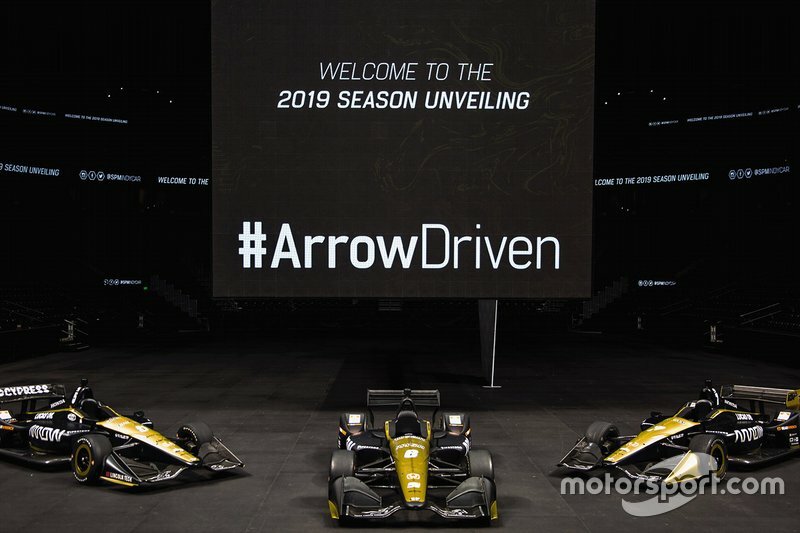 Arrow Schmidt Peterson Motorsports cars line up - #5 James Hinchcliffe, #6 Robert Wickens, #7 Marcus Ericsson. Rosenqvist completes sensational IndyCar debut with "one arm"